INVESTORS!!!! 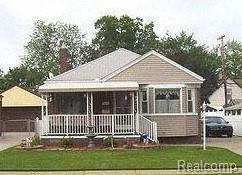 Wonderful three bedroom brick/vinyl ranch with two full bathrooms. Some hardwood floors with carpeting throughout. Finished basement with full bathroom and living space. Enjoy the summers with your above ground pool. Two car garage.